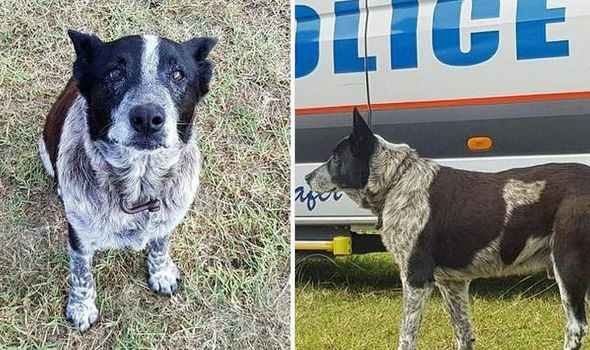 Being deaf and partially blind didn’t keep Max, a 17-year-old blue heeler, from keeping a lost child safe after she’d gone missing in the wilds of Australia, eventually aiding in her rescue, as well. Police have honored him for his role in the positive outcome. Little Aurora went missing on Friday, vanishing into the wilderness of rural Queensland. An emergency crew was out looking soon after, but couldn’t find her location. She remained missing throughout the rainy night. Max, however, kept her good company — and perhaps warm — and helped lead Aurora’s grandmother, Leisa, who had heard the child’s cries, to her location. 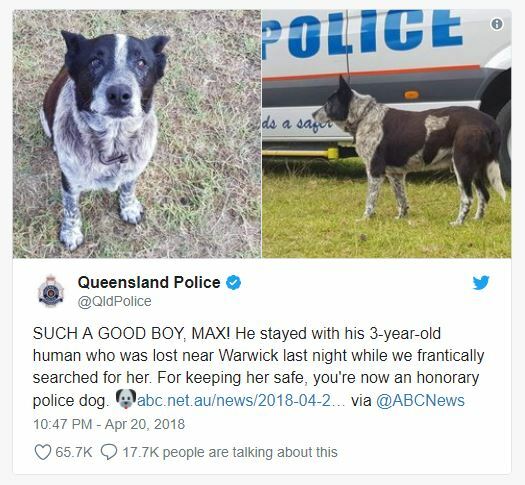 Max, described as half-blind, was hailed a hero by police. 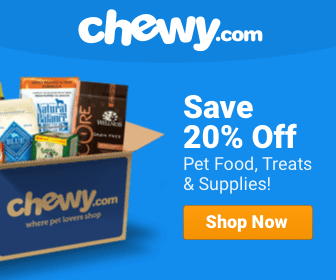 He was proclaimed an honorary police dog on their Facebook and Twitter feeds. Aurora was in good shape, suffering only a few scratches during her ordeal, and was in high spirits, as well. Emergency Services Coordinator Ian Phipps told reporters for the Australian Broadcasting Corporation that Aurora was discovered more than a mile from home.